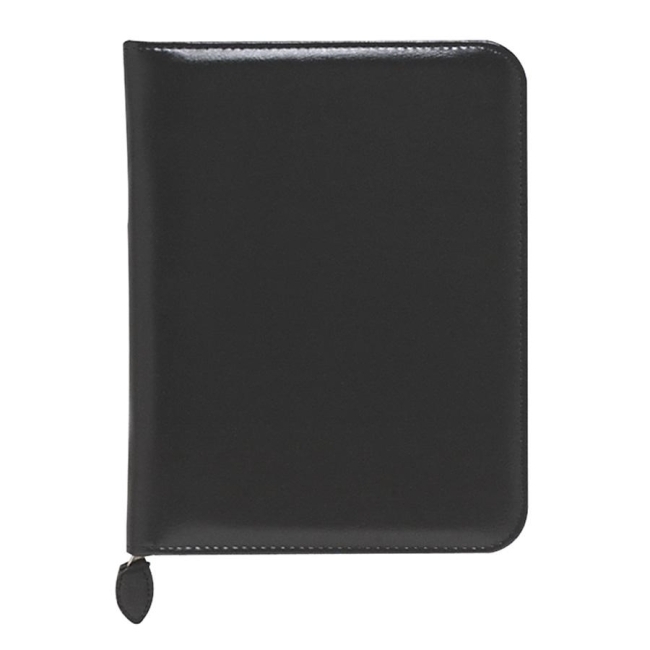 Organizer features a cover made of Verona Leather with a zipper closure. Includes six-ring binder with 1" rings, hand reference pages, vinyl zip pouch, monthly calendar pages, tabbed address and phone directory, 24 sheet-lined note pad, bookmark ruler, business/credit card holder, supply of undated calendar pages and personal information section. Bilingual.